Infographic: What is Radon Gas and How to Reduce Radon Levels in Your Home? 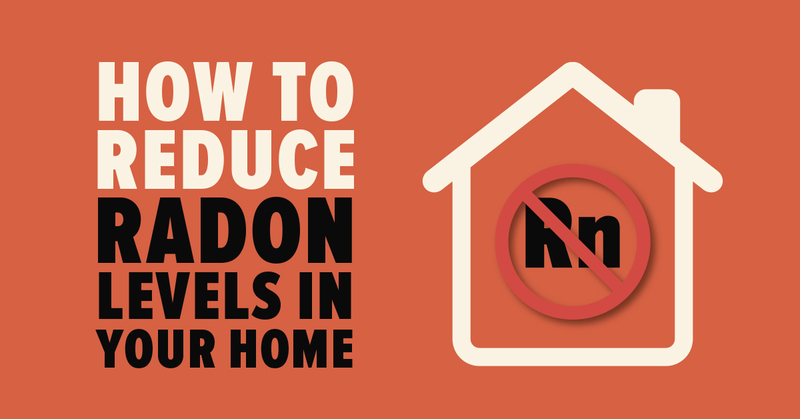 Mold Busters > Infographics > What is Radon Gas and How to Reduce Radon Levels in Your Home? 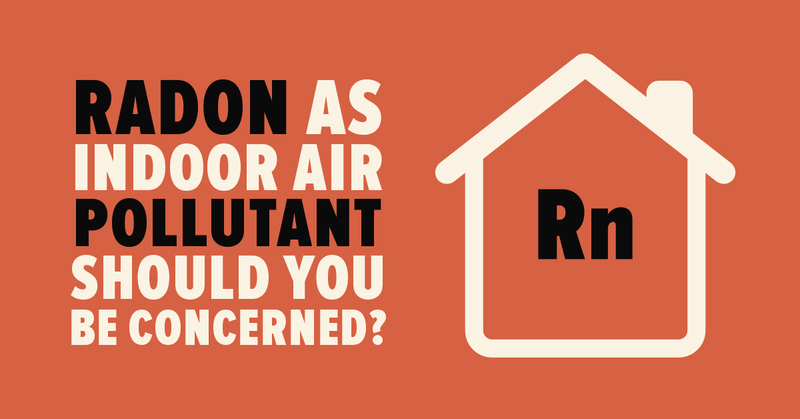 Radon as Indoor Air Pollutant: Should You Be Concerned? When the topic of indoor air pollution is mentioned, there are a few main sources that most likely come to mind. Asbestos, carbon monoxide, and formaldehyde are a few major concerns that the average person would likely associate with indoor air quality. However, in recent years there has been a growing concern with a less prevalently known indoor air pollutant: radon gas. Chemically speaking, radon is a colourless, odourless, and tasteless radioactive noble gas. This gas is produced by the decay of radium, which can be found in a number of common minerals such as uranium and/or phosphate ores. Almost all rocks contain at least some concentration of uranium, typically around 1 – 3 ppm (Michaela Kreuzer, 2010). Radon gas, when released from rock and soil, undergoes radioactive decay to produce a series of progeny. These progeny, also referred to as daughters, are capable of emitting different levels of radiation (i.e. : alpha, beta and gamma). The alpha radiation of not of much concern, however beta and gamma radiation is capable of penetrating the skin and has been shown to pose serious health risks at certain exposure levels (Michaela Kreuzer, 2010). These decay products are very electromagnetic, meaning that once in the air they are likely to attach to particulate matter and become inhaled into the respiratory system. 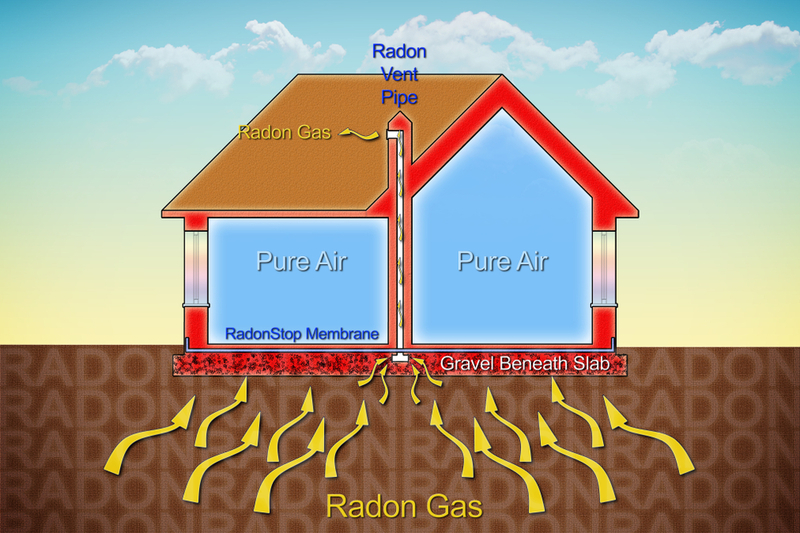 How are we exposed to radon gas? Radon gas is present in both air and water. When present in outdoor air, radon gas is typically so dilute that it does not pose any serious concern. It is when we talk about indoor or household air that radon becomes troublesome. 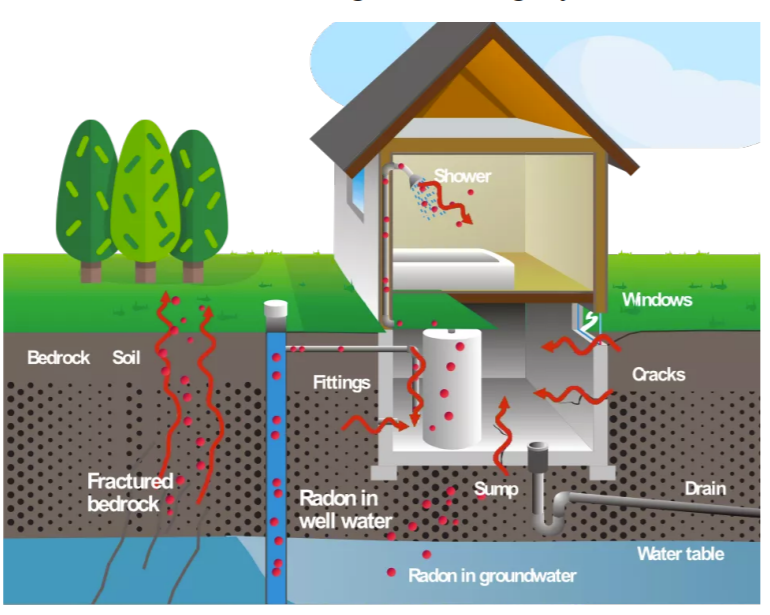 clear that the soil permeability, the difference in air pressure between the home and the surrounding soil, the homes foundation quality and the uranium concentration of the soil are all factors that play a part in determining the risk level of radon gas exposure for a particular home (Government of Canada, 2016). In addition, radon gas can also find itself entering a home through the water system. Much of the world’s surface water contains very little radon because it is exposed to the atmosphere, allowing it to escape into the air and dilute itself to a safely breathable concentration. Many municipal water treatment plants allow their water to undergo an aeration treatment, which also facilitates the release and dilution of radon gas from the water source. Therefore, most homes that rely on surface water will have little to no concern with radon entering through the water system (Michaela Kreuzer, 2010). Groundwater poses much more of a concern in terms of radon gas exposure. In many homes and communities, groundwater is used as the primary water source. Many private wells and smaller treatment facilities that use chiefly groundwater employ closed systems with short transit times, which does not permit the aeration or decay of radon to occur. This means that any radon gas present in the groundwater will be able to escape into the indoor air of a home or building through showers, washing machines, faucets, dishwashers, or any other use of water. These circumstances typically occur to homes residing on uranium rich soils and using groundwater as their primary water source (Government of Canada, 2016). Contaminated groundwater can contribute to radon gas exposure by means of ingestion and inhalation, though inhalation is far more prevalent in terms of path of entry. Now knowing what radon gas is and how humans can be exposed to it, it is also important to consider why one should be wary about radon gas exposure. It was only during the late 1960’s to early 1970’s that the negative health effects of radon gas and its decay products were proven. The first major concern with radon gas exposure is lung cancer, which was initially brought to light during the 1960’s through the effect it was having on miners. It wasn’t until 1988, after a prolonged trend consistently demonstrating the increase in lung cancer corresponding to an increase to radon exposure was observed, that radon gas was declared a classified human carcinogen by the International Agency for Research on Cancer (IARC) (Michaela Kreuzer, 2010). Since then, there has been a significant increase in the amount of research performed surrounding the effects of radon gas as a human carcinogen. In compassion to smoking, radon gas exposure has been proven to be the second leading cause of lung cancer in humans. In Canada alone, 16% of total lung cancer deaths can be attributed to radon gas exposure (Government of Canada, 2012). Disharmonious to cigarette smoking, exposure to radon gas will not produce any noticeable symptomatic effects such as coughing or headaches. The chances of radon gas exposure leading to lung cancer is dependent on the concentration of radon in the air one breathes and the length of time exposed. The time between exposure and the onset of lung cancer is typically many years. Radon gas has the ability to cause lung cancer due to its radioactive traits. The decay products of radon are capable of electromagnetically attaching themselves to particulates present in the air. Once inhaled, these decay products breakdown further and further within the body, producing alpha, beta and gamma emitting particles. It is the deposition of the decay products in the airway that allows for the irradiation of lung tissue cells by alpha particles. These alpha particles are capable of letting out small bursts of energy that are subsequently absorbed by the sensitive lung tissue, damaging or killing the surrounding tissue cells (UNSCEAR, 2008). Damaged lung cells have the potential to reproduce as cancerous cells as they replicate. lung cancer, even at concentrations typically found in indoor air (Government of Canada, 2012). What can we do about Radon gas? The only way to tell if a home to susceptible to elevated levels of radon gas is to have it tested. Because the levels of radon gas can vary based on recipitation, barometric pressure, and other influences; indoor radon gas levels can vary from day-to-day. For this reason, it is recommended to have a long term radon gas test performed by a certified testing company, typically for a minimum of three months(Government of Canada, 2016). If the radon levels in the home are found to be higher than the guideline concentration of 200 Bq/m3 ,there are a number of actions one can take to reduce the radon gas levels (Government of Canada, 2016). The first action one can take is ventilating the basement sub-flooring though the installation of a small pump, which will draw the radon from below the foundation and allow it to become diluted in the outside air before it has a chance to concentrate in the home. One can also increase the ventilation mechanically by means of a heat recovery ventilator (HRV). In addition to this, sealing all cracks and fractures present in the foundation walls, drains, and water system inlets/outlets will stop radon gas from seeping into the home and reduce concentrations in the air (Godish, 1989). When the radon levels in your home exceed Canada’s guidelines, stating 200 becquerels/m3, it’s time to seek professional help in reducing radon levels to an acceptable measure. The higher the radon levels, the more urgent it is to remediate. According to a National Research Council report for the Environmental Protection Agency (EPA), eliminating radon gas entirely from your indoor living environment is not possible. The report explained that a third of lung cancer cases caused by radon exposure could be prevented if homes met the Canadian guideline. Increase the ventilation in your home to allow the air to properly circulate. You might want to try increasing mechanical ventilation through a heat recovery system (HRV) to permit air exchange. Seal all cracks, holes, or openings (water, sewer, electricity, etc.) in the foundation walls and floors (basement). Also, seal the joints between walls and floors and the gaps around pipes and drains (i.e. all the vents through which radon gas can possibly enter your house). Cover sump pumps and drains (keeping in mind, of course, that this does not prevent their functioning). Replace your basement floors (particularly earth floors) with concrete floors. This reduces the risk of radon gas entering your home. Use the most common method of reducing radon levels – a fan and piping that draws radon from indoors and expels it out. This method is commonly referred to as sub-slab depressurization, and it expels radon before it enters your home. Install specially-designed traps in floor drains to prevent radon from entering your basement. Basement sub-floors can be ventilated by installing a small pump. This will draw the radon gas below the concrete slab to the outside. Install an active soil depressurization (ASD) system, which will reduce the concentration of radon in the soil next to your home’s foundation. Paint your basement floors and walls. Don’t forget to use a sealant on top of the paint and to add polyethylene sheets to the basement walls. In extreme cases, such as when unacceptable levels of uranium are found in the soil around your house, remove the soil and replace it with clean fill. New homes with radon-resistant features should be built following radon-resistant construction techniques, which are simple and inexpensive. Your home is your greatest investment. Take precautions while the home is being built and you’ll minimize the risk of radon exposure. Install a pipe that runs across the concrete slab in case you need to install a depressurization system in the future. Make sure that your new home is being built following the 2010 new national building codes. All of these precautions should be taken at the time of construction and not afterward. Finding a certified, trained and experienced professional in your city is the best and most reliable way to ensure that your home is not at risk of dangerous radon levels. Because each home is unique in its structure, its location, and therefore, its vulnerability to radon gas entry, testing and reduction should be done by trained and experienced professionals, who can also provide useful advice for the occupants’ future safety. Mold Busters, Canada’s leading company in radon testing and indoor air quality (IAQ) testing is in Ottawa, Toronto, Montreal and many other cities. Call us today for a quick and effective solution to your radon problem. Very nice infographic on one of the most dangerous materials used in construction. Very usefull!